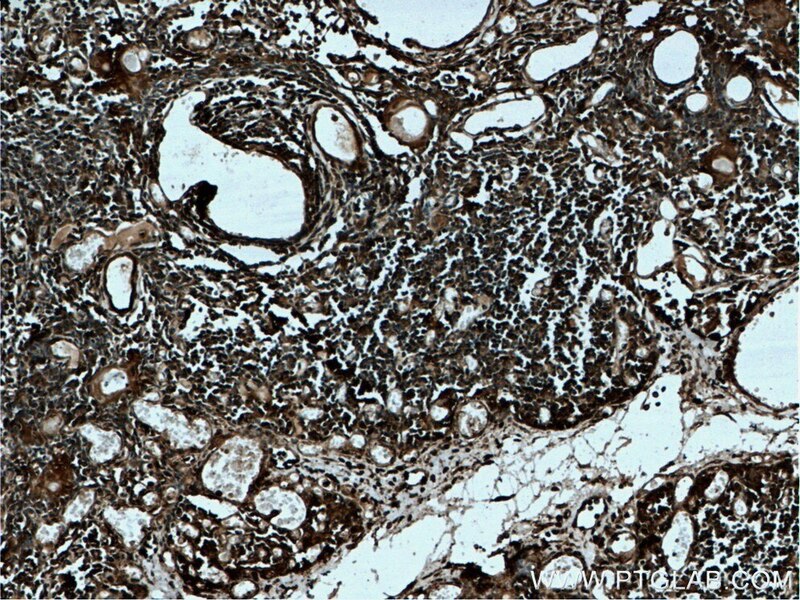 Immunohistochemical analysis of paraffin-embedded human thymus tissue slide using 27319-1-AP( AAGAB antibody) at dilution of 1:200 (under 10x lens) heat mediated antigen retrieved with Tris-EDTA buffer(pH9). 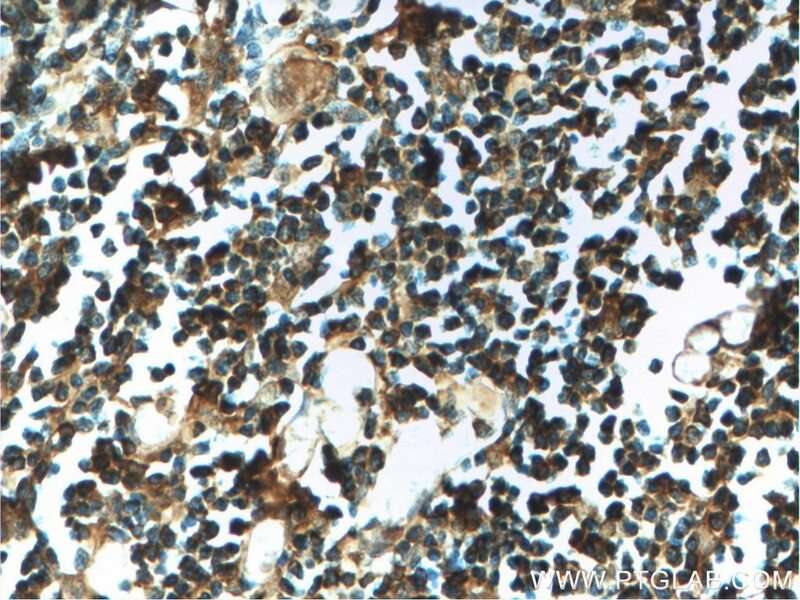 Immunohistochemical analysis of paraffin-embedded human thymus tissue slide using 27319-1-AP( AAGAB antibody) at dilution of 1:200 (under 40x lens) heat mediated antigen retrieved with Tris-EDTA buffer(pH9). Recent study indicate that mutations in AAGAB can cause punctate palmoplantar keratoderma type I (PPKP1; OMIM#148600), also called keratosis punctata palmoplantaris Buschke-Fischer-Brauer. The predicted MW of this protein is 35 kDa. Catalog#27319-1-AP recognises 37-40 kDa band may due to phosphorylation.